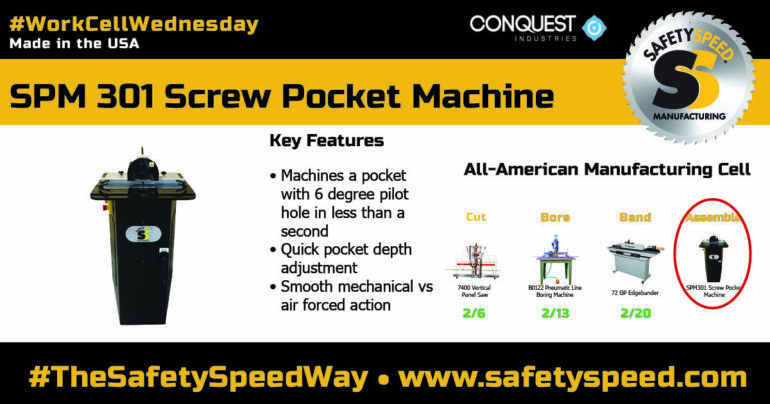 Aimed with increasing production and profit in woodworker’s shops across the country, Safety Speed’s SPM301 Screw Pocket machine simultaneously cuts and drills a pilot hole at a 6 degree angle in one motion, in under a second. Watch it in action! 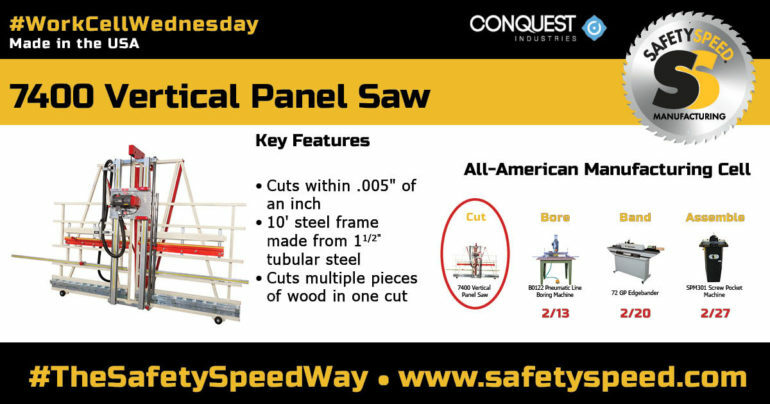 This machine is the fourth and final component of the All-American Work Cell and Work Cell Wednesday. 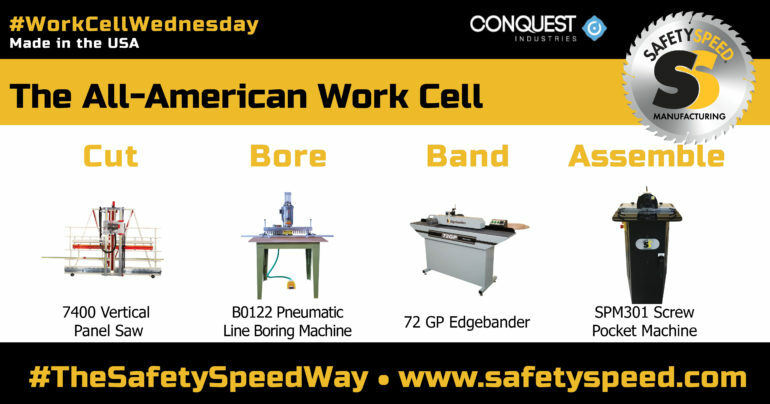 The second component of the All-American Manufacturing Cell and Work Cell Wednesday is Conquest Industries Pneumatic 23-Spindle Line Boring Machine. 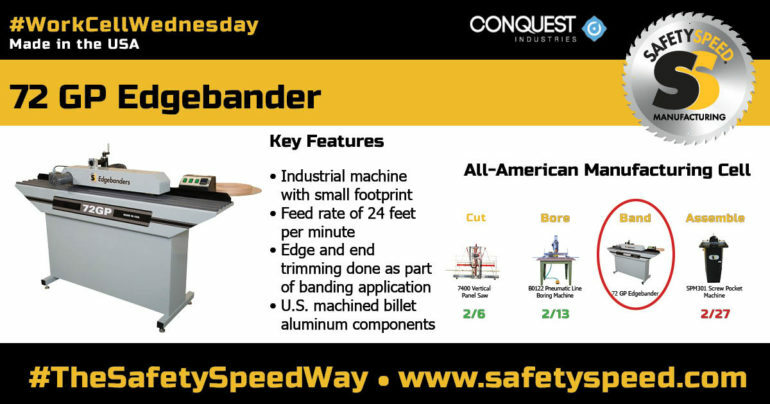 It allows for a simple and hassle free line boring process. 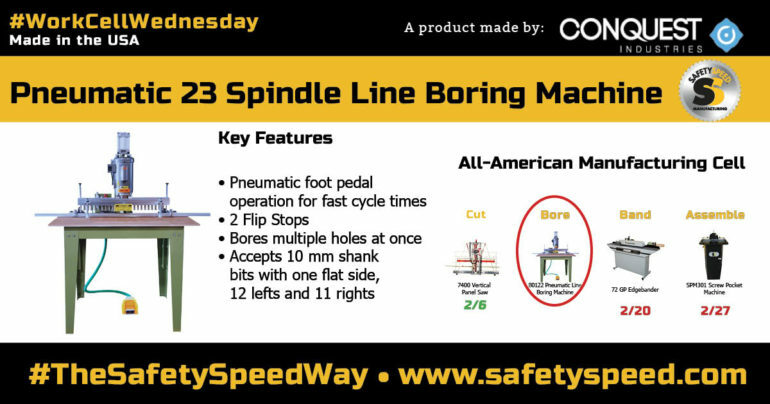 Simply align your panel of wood within the machine and press your foot down on the pedal and holes are bored!